Antique Thimble Tassel with small tassel. One-of-a-kind! Can be worn long or short. 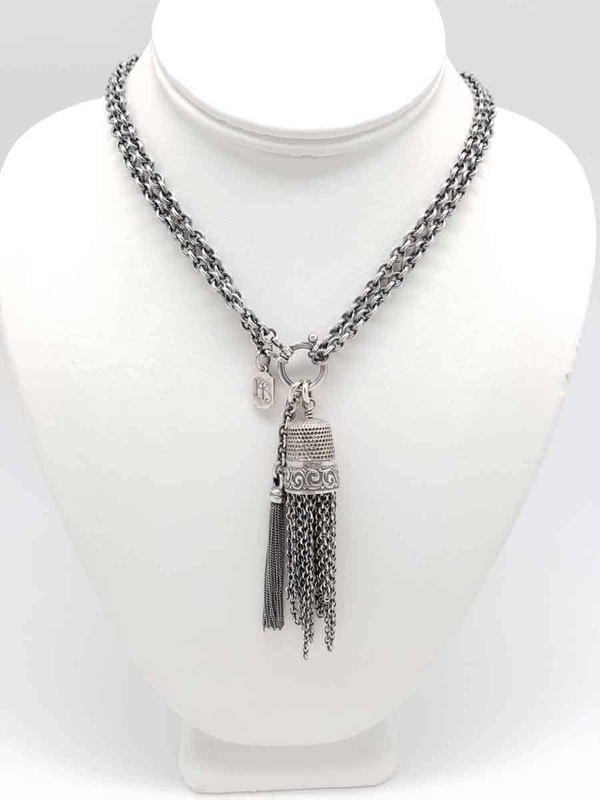 The Light Tassel necklace comes with two Italian tassel that can be traded out for the Thimble tassel.